Angel, this card is so striking and pretty! 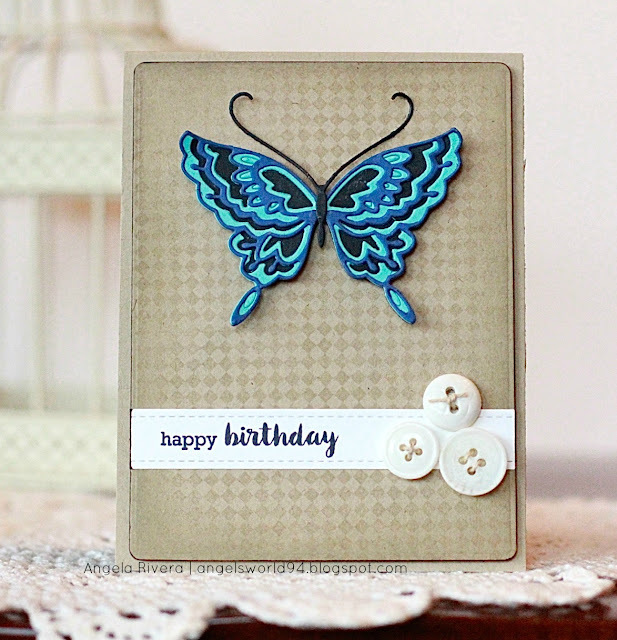 Love the blue butterfly with the neutral background as well as your finishing touches! Thanks for the inspiration, sweet friend! Oh Gosh - I think I'm going to have to get that butterfly - all three layers! Your card is just beautiful! That butterfly is gorgeous ! And it looks great on that cool stamped background!